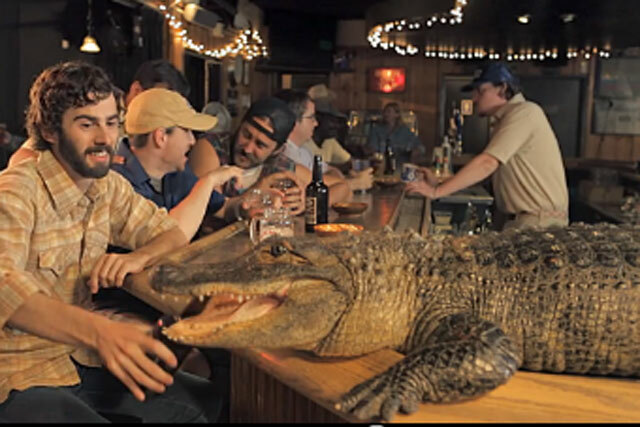 Diageo is running its first UK television ad for its Jeremiah Weed Brew range featuring a regular man and his laid-back pet alligator. Creative by Johnny Fearless ends with the man and his pet enjoying a jar of Jeremiah Weed Brew in his local bar, alongside the strapline, "Can't explain it. Best just enjoy it. Jeremiah Weed Brew. It's what it is". The 30-second spot breaks on Thursday (1 November) and will run throughout the month exclusively in Scotland, as part of a six-figure spend on the campaign. Diageo says the campaign is focusing on Scotland because since launching the brand a year ago, research has shown that Scots have a "real passion for the brand with its distinctive jam jar glass and unconventional approach to life". Creative will direct people to the brand's Facebook page where visitors stand the chance to win a Jeremiah Weed jam jar before 28 January 2013. The range includes the Jeremiah Weed Root Brew and Sour Mash Brew variants. Diageo's ginger-flavoured Root Brew will compete with Halewood International’s Crabbie's, while the Sour Mash Brew is bourbon-flavoured. Putting Diageo to the test: 10/10?